Jewel is one of those female artists who can go by a single name like Cher, Beyonce or Madonna. This down to earth superstar was raised in Alaska and by the 4th grade she was performing along side her father at dive bars around the area. At the age of 21, Jewel’s first album “Pieces of You” was released. Much to her surprise, the album went multi-platinum with “You Were Meant for Me” and “Who Will Save Your Soul”. Imagista was mesmerized by her recent performance in New York City. Not only are her vocals impeccable but also her sense of ease on stage is admirable. 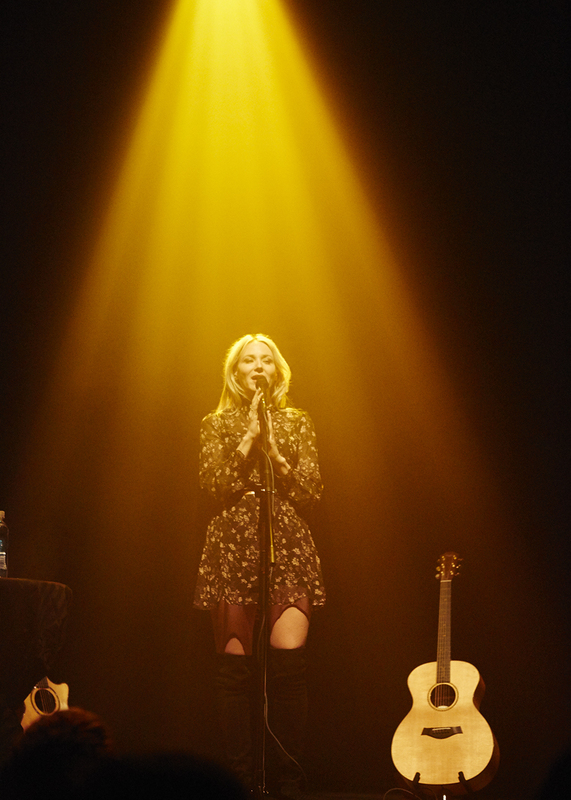 Jewel’s humor and kind demure are felt throughout her performance, a quality not many artists have. Jewel, who comes from a family of musicians and artist, never aimed her sights on fame. Her goal in fact was to be one of the best singers and songwriters in the industry, which she accomplished. She claims it was always hard for her to learn someone else’s music, she found it so much easier writing her own, which worked out in her benefit. Jewel has been blessed to call, none other than, Bob Dylan and Neal Young her song writing mentors. Dylan took her under his wing and brought her on tour with him. They would go through her lyrics and he was instrumental with instilling in Jewel the confidence to develop her own song writing style. 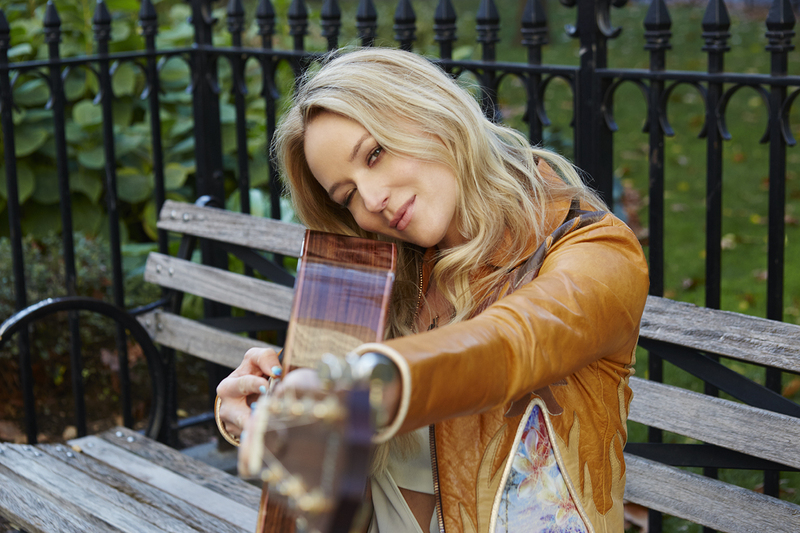 Jewel also took the advice of her mentors and went on a little break from show business and asked herself “what do I really want to do with my life?” The time spent away from the music industry offered Jewel some perspective and, to her surprise, she chose music again. However, she decided to engage in it very differently. She decided not live in L.A anymore and to stopped the heavy touring. Jewel is unique because not only has she broken boundaries in the music industry, but because she has taken her career to another level completely. 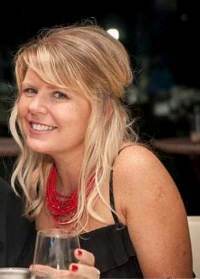 The now 41 year old continues to be inspired by the world around her. She has re-invented herself and taken a step back from fame on whenever it was feeling to be a bit too much. “Humans are not one thing however, artists get to a brand and are suppose to stick to it, not me”. Jewel is an who artist marches to the beat of her own drum which is why she is so inspiring to us. She is more than just a singer and a songwriter, she truly is an influential and accomplished and the respect and admiration she garners from her adoring fans is well deserved. *Stay tuned for an upcoming in-depth podcast interview with Jewel and Imagista. Hair and Makeup: Abraham Sprinkle using Nars Cosmetics. Is he the photographer or a model/prop? How about this? Take an introspective and incredibly hard-working girl from Alaska, put her through the paces of an abusive upbringing, send her to a prestigious art school and then have her traverse a stint of homelessness. Give her sick kidneys. A lecherous boss at a dead-end computer warehouse job and a complicated relationship with her mother. Essentially, it can add up to a staggering narrative that singer/songwriter, Jewel, has spent her career toiling to document through her deeply personal songs. To date, she’s sold over 30 million albums worldwide and has earned four Grammy nominations. The Alaskan-native might be one of the most misunderstood musicians in pop culture to date. While the sweet sentiments sewn into her collection of work ring true, she’s often pegged, one-dimensionally, as a delicate sort of 60’s era Joni Mitchell acolyte, when in fact, she’s probably one of the best singer/songwriters America has produced in the last twenty years. Her New York Times Best Seller, Never Broken, unpacked the hardships of her coming up through the ranks, playing coffee shops in San Diego, getting discovered and being catapulted to heights inconceivable to a young and gentle spirited Jewel Kilcher. Her estranged mother became her manager, and for a time, it seems like she had the world on a string. But betrayal rocked their newfound bond and the relationship dissolved. Pulling herself up by her own bootstraps, she climbed out of deep debt, navigated a painful divorce, and has arisen a keen businesswoman and a fiercely determined artist. While her son, Kase, may be the love of her life, music is still very much lighting her fire. She’s never been in better form musically, and with an adventurous new album on the horizon, as well as a new collection of handmade jewelry, her sights are set on bridging the gap she claims is permeating pop culture. Imagista: What prompted you to want to design jewelry? Jewel: I’d been looking at doing it for a long time. Christopher Beaver and I have been friends for a long time and we wanted to do something from the ground up. I really believe that hard wood grows slowly and there are no shortcuts. We wanted it to be an expression of who I really am and really aligned with my values. It’s beautiful and hopefully people will buy it, but also I’ve always used symbols to navigate through life. I’ve always used symbols as compasses. Imagista: Can you tell me about meeting Christopher and how you decided to go into business together to create Songlines? Jewel: Gosh, I don’t even remember. It feels like we’ve been friends forever. I’ve been a fan of his jewelry and I’ve been buying it for a long time. He gave me a piece of his this last Christmas and we started talking about a licensing deal. I said I’d rather just do it with him and so we cooked this up. Imagista: How did you create and agree upon an aesthetic? Jewel: We wanted it to have a really strong aesthetic that represents me and my style but that also has meaning and values and a lot of heart in it. Something that we weren’t really seeing in the marketplace. This first line is inspired by Alaska and the symbology that I grew up with using. We’d like to just keep growing slowly. We’re just doing this ourselves out of Christopher’s house. It’s been fun seeing how much people have liked it. Imagista: You’ve been busy with a myriad of different endeavors (your Never Broken website, acting) over the last few years, which includes a new album. When can we expect the new record? Jewel: I don’t have a launch date or anything like that. I’ve been working on getting the music right and I’ll go from there. I formed my own label called Words Matter Media. I’ll probably do a multimedia launch where it’ll be tied to some sort of visual component, some sort of serial series on TV or online. I really want this to be a co-write with America, as it were. I wrote a speech recently that got published in Variety that really describes why I’m writing this project, why I’m working on the music that I’m working on, why I feel compelled to go back into the mainstream public eye, whereas most of the music that I’ve been making lately has been very independent. I feel there’s a huge gap between what people are feeling and experiencing in their lives and what they’re seeing reflected back to them in pop culture. People are really struggling and instead of being able to find refuge or well-being, they’re being fed things that are constantly feeding their anxiety. Imagista: What is it about music that you feel can bridge that gap? Jewel: I think we’ve gone a couple of generations without really hearing punk rock and folk music and people talking about real things. There have been people who have been doing it, it’s not like it’s been absent entirely, and yet I don’t think people are being as real as they can be. I think it’s ripe for that change. Often the gate keepers don’t see that gap and see who’s going to fill it. I’m very interested in the music that’s about to come forward. I encourage people to speak up and say whatever the truth is to them. Imagista: Your back catalog of unreleased songs is extensive. Will any of those tunes be the new album? Jewel: You know, this is the first record that I’ve actually been writing from scratch. I have a folder on my phone of back catalogue songs that I haven’t looked at. I will look at them at some point, but none of them really are jumping out to me. I really want to write about what’s happening now. Where I’m at now, rather than where I was when I was younger. I’m open to suggestions, you know, if there are fan favorites I’m not thinking of. My last album had quite a few of those. Imagista: You’ve said you’re spanning a wide range of genres with your new album. You’re no stranger to working in Pop, Folk, Americana, Country and Rock. What has genre meant to your career so far? Jewel: I think that structures get built that don’t always express the fluidity of how people experience things. Music is very fluid. People have Johnny Cash records as well as Bob Dylan records. I like people that are unapologetically themselves. That’s why I love Loretta Lynn and Dolly Parton as much as I love Joni Mitchell. I like an unapologetic viewpoint. To me thats a punk rock attitude, whether you’re playing punk rock or not. It’s an unrelenting belief in your own voice’s value. Unless we have people in the arts that are willing to be that courageous, young people don’t know it’s possible. To me, genre should be a much more fluid thing. Because of a certain type of capitalism, the industry got set up with these shilohed genres. But if you go into people’s playlist, typically, you’ll find a variety of some sort that’s unified by a common theme. Usually emotional. That’s been my experience. I’ve listened to all genres my entire life. I’m not really a genre fascist! (Laughs) It’s a shame in the business that you might have to get off of a label that doesn’t have a country radio relationship, for example, and get on another label that does. It can make it mechanically difficult, but I’ve never had a problem writing it. I have friends in every genre. I like every genre. Imagista: Do you have any pre-show dressing room rituals? Imagista: What is something you’d want your younger self to know about the music industry? Jewel: Someone sent me some interviews recently of interviews from right when I became famous. My message has always been the same. I knew that if I ever did get famous that I would want to be an artist more than I would want to be famous. I know fame doesn’t last forever and because I came from nature, I knew that there was a season for things. I tried to build a fanbase with whom I had a really personal relationship, where it was a much deeper relationship than a fad or a hit. And to really invest in that relationship. To allow myself to experiment and not feel captive. I never felt like I had to be popular and I’m glad I made a lot of those decisions. I’m glad I never felt like my self-worth was relative to where I was at on the charts. If your worth is relative to your surroundings, you’re in for a difficult ride. I’m proud of how I’ve conducted myself, I’m proud of the risks that I’ve taken. That I’ve never sold out my authenticity even if people thought I did with 0304. That was not my selling out my authenticity, that was my fighting for it. To me, being a sellout would have been doing “You Were Meant For Me” part two, part three, part four and never changing. That’s not me. I change and I grow. That’s authentic to me. You can’t make everyone happy. Imagista: Speaking of 0304, you’ve recently done some work with Lester Mendez, who worked with you on that album. What called you back to working with him? Jewel: I’ve always loved Lester. He’s really talented and we’ve worked well together. He cooks up all of his own sounds. He’s like a mad scientist. I’ve been writing with a bunch of people. There’s been a real soul, gospel thing going on with what I’m doing now. It’s interesting. It’s fun to follow it wherever it goes. There are some things that might surprise people about the way I’m singing. There’s a blues, old-school, R&B, Aretha Franklin kind of feel. I don’t think people have really heard me sing like that. I grew up singing that, but I’ve never gotten it onto a record. It’s surprising that it’s finally coming out. Imagista: Is there a project that you haven’t done yet but you’re champing at the bit to do? Jewel: This new one. I also did a show at the Hollywood Bowl with a full orchestra where I got to take a swing at that kind of music. I’m really improving as a singer every year. I really work at it and I feel like my voice is in better form than it’s ever been. So I look forward to doing something like that at some point.